It's the sweetest time of year! The holidays are a time for tradition and for many home cooks, that includes certain classic desserts. Treat your family to these magical Christmas confections, from a decadent chocolate yule log to sweet sugarplum candies. Not only are these must-make desserts delicious, but many of these recipes are great for holiday gifting, too! 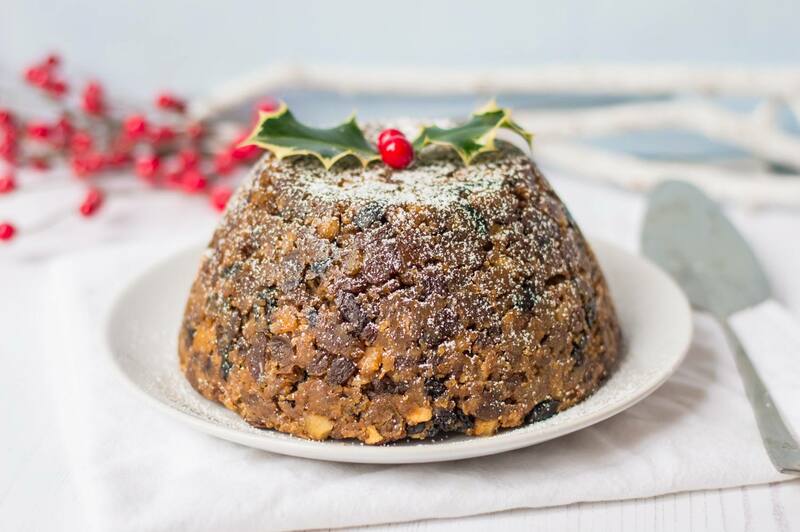 Every British celebration needs a Christmas pudding. While this recipe has a lot of ingredients, it can also be made well in advance of the holiday rush (up to a month) to allow the rich flavors to develop. Trifle is an luscious, indulgent, boozy British dessert that has long been a favorite at Christmas time. Slices of cake are soaked in sherry, then layered with fruit, custard, jelly, and whipped cream. Baked Alaska is an incredible Christmas dessert. With cake, ice cream, and a light meringue topping, what's not to love? This versatile recipe makes one large cake, or several small, individual desserts. Here's another entertaining trick: you can do like the professionals and torch the meringue tableside. Sticky toffee pudding is a must-bake Christmas dessert in Britain—it's even one of Harry Potter's favorites in the books! Dark, moist, date-filled cake is drenched in thick toffee sauce for an ultra-decadent treat. Make it a few days in advance so the sauce soaks in for a super rich and sticky experience. What would the Christmas holidays be without a cookie jar full of gingerbread men? This recipe produces soft, warmly-spiced cookies that kids will gobble right up. Making these can be fun for the whole family—have the children help you cut and decorate them. Add this candy cane-inspired fudge to your holiday baking list! Featuring white chocolate infused with bold peppermint flavor and swirls of festive red food coloring, the treat is best enjoyed while decorating the Christmas tree. Tip: make an extra batch for gifting to family and friends. If you love eggnog, you'll adore these eggnog cookies. This easy-to-make recipe is ready in about 30 minutes, making it a perfect last-minute idea for tree trimming parties or surprise holiday guests. Rich, dense, boozy chocolate rum balls are a classic Christmas candy that's sure to become one of your favorites as soon as you try them. They're a wonderful post-dinner treat with coffee or a sweet make-ahead holiday gift. Panettone is a tall, beautiful, dome-shaped cake that originated in Italy and has become popular around the world. Light and airy in texture with a rich and buttery taste, it's not the simplest wintertime dessert to make, but it certainly is impressive—and great for giving —when you're feeling ambitious. Stollen is a fabulous Christmas confection that comes from Germany. Filled with marzipan and fruit, and finished in a jammy glaze, the sweet bread is typically made only for the holidays, but it's so good, you may want to enjoy it at other times of year. Sugar cookies always make us think of Christmas with their rich buttery taste. 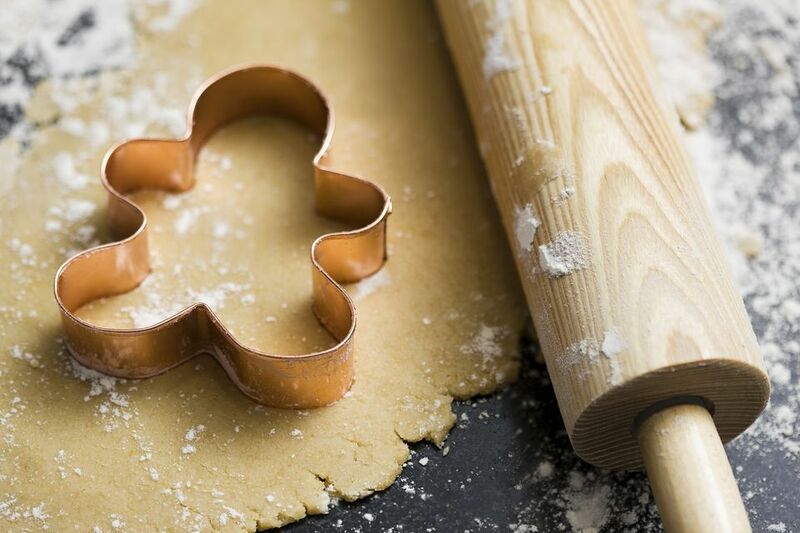 This recipe makes enough cookies to enjoy at home and share with friends. Sugarplums are a classic holiday candy popularized in poems and, famously, in the "Nutcracker" ballet. Roll up a batch of the delightfully fruity and nutty confections for your traditional Christmas celebration. A traditional dessert spread just wouldn't be complete without a yule log. This classic Christmas cake is rich and decadent and will surely delight everyone at dinner. Christmas fruitcake is no doubt better when you make it from scratch! Loaded with fruit and spices, plus brandy and orange juice rounding out the flavor, you'll be surprised by how delicious this tastes. This top-rated pumpkin cake roll is filled with an irresistible cream cheese filling. It's a very popular holiday cake and one small bite will prove why. Make two and keep individual slices wrapped in the freezer for serving when friends and family stop by during the holidays.